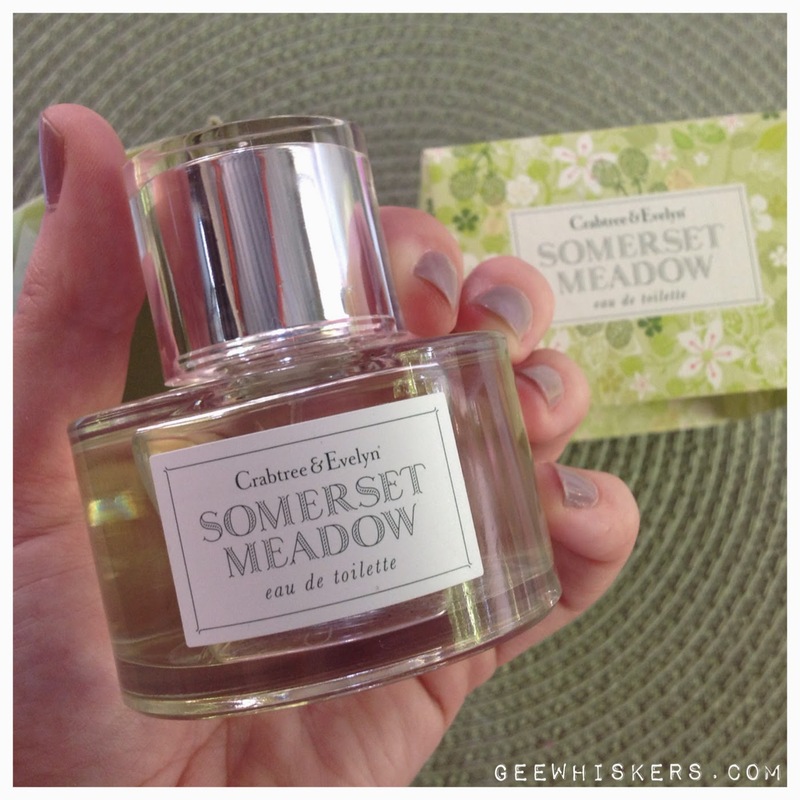 Crabtree & Evelyn Somerset Meadow / Gee Whiskers! I shared this Crabtree & Evelyn perfume in my Feel Good Friday post last week and since buying it, I have worn it every day. Somerset Meadow is such a beautiful blend between floral, fruity and green freshness -perfect for people who want it all in a perfume. First off, I absolutely love the design of the bottle and the box it comes it. The first hint of the perfume immediately transports me to a field full of flowers, tall green grass and the sun overhead. The scent combines, wild flower fields with dewy green notes of water lily and ivy, along with hints of blackberry and bergamot. It is such a beautiful scent that you just have to experience for yourself. I am so thrilled that I managed to get this on Kalahari for only R295 for a 60ml bottle. It was a complete steal at that price. However, the full price isn't all that bad at R550 (you can buy it online from Crabtree & Evelyn's website). I can highly recommend this fragrance and look forward to using it a lot more this summer.